Irish researchers at AMBER, the Science Foundation Ireland funded materials science centre, hosted in Trinity College Dublin, have developed a new method for 3D printing large and complex bone structures. This new 3D printing technique could be the key to regenerating and repairing large defects caused by tumour resections, infections, trauma, as well as inherited bone deformities. This novel bio printing method will also have a myriad of applications in head, jaw and spine surgery, as well as hip and knee replacements. In other words, the new process could eliminate the need for bone grafts and it consists of using 3D bio printing technology to fabricate cartilage templates which have been shown to assist the growth of a complete bone organ. “This is new approach to tissue and organ engineering and we’re very excited. 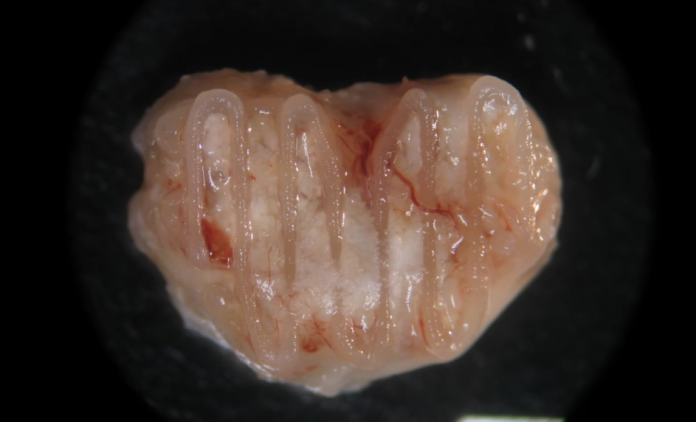 3D bio printing is a rapidly expanding area in the fields of tissue engineering and regenerative medicine. While the technology has already been used to engineer relatively simple tissues such as skin, blood vessels and cartilage, engineering more complex and vascularised solid organs, such as bone, is well beyond the capabilities of currently available bio printing technologies,” said Professor Daniel Kelly, Investigator at AMBER and Director of the Trinity College Centre for Bioengineering. Click here to read the full paper on this amazing novel 3D bio printing technique.